Savor the rich food culture of Cartagena during this 4-hour exploration of the city’s mouth-watering array of snacks, local markets and restaurants. Explore the Cartagena’s rich food scene, a culture that has led many to label the city the 'gastronomic capital of the Caribbean,' by sampling a range of tasty breakfast treats, exotic fresh fruits, baked goods, stews and desserts. As you eat your guide will add insight into Colombia’s unique history and melting pot of cultural influences. 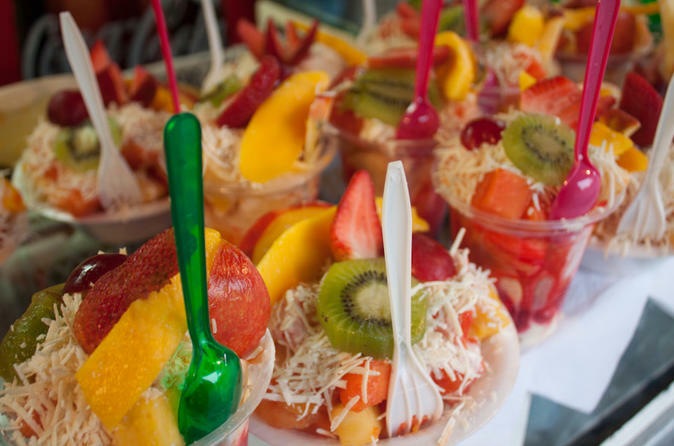 Your food tour also includes a professional guide, bottled water, beverages, breakfast, a variety of snacks, lunch and transport to the local market.